Despite being the shortest month of the year there was plenty of activity with the unveiling of several tables. Below is a synopsis of my observations for the month of February. Not content with already having the most private tables, William Hill opened a new ‘Vegas’ branded area within Evolution Gaming’s Riga Studio. So far consisting of 1 roulette and 1 blackjack table. Both tables are also available on William Hill’s iPad App. Evolution’s Blackjack Party table is aimed at more casual players. The new Vegas tables have a similar vibe and are targeting the same type of player. Thankfully the Vegas blackjack table only allows each player to occupy a single seat. There are several William Hill players who are habitual ‘bonus card chasers’ occupying multiple seats across 4 tables at a time when blackjack promotions are running. Such behaviour makes finding a free seat almost impossible during promotions. 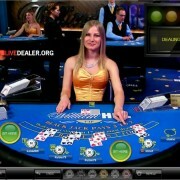 Be ‘entertained’ by 2 dealers as Anastasija et al on roulette engage your dealer in general conversation … no thanks WH. Background noise including slot machines (one-arm bandits/pokies) is added to the video feed to further add to the Vegas ambience, or distraction depending on your viewpoint. Further distraction is provided by the dealers who have been told to talk to each other whilst working at the tables. To the dealers this William Hill guidance probably seems like heaven sent … especially for those dealers who players don’t communicate with. 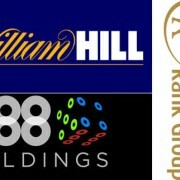 In my opinion, some dealers already spent too much time involved in cross table chat when they were working general floor tables, before they ever somehow made it onto the William Hill private tables (the higest paid private dealers at Evolution). I’ve always felt cross table chatting between dealers was very rude to players. If I had the desire to have a conversation with the dealer on the next table I would go to that table. I don’t understand why William Hill thinks we want to have more cross table chat between dealers that doesn’t even involve the game or players whatsoever. 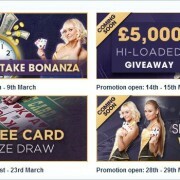 William Hill are simply replicating what occurs at the Blackjack Party table when the dealer and presenter talk among themselves. And, it is curious how the are trying to promote more chat at these tables, but some Hosts block players for chatting at other William Hill tables without any warning. Another casino not content with a single private roulette table are Paddy Power who unveiled their second, deceptively named Private Club roulette table at Playtech. Notwithstanding the name, it is now a general access table open to Paddy players. 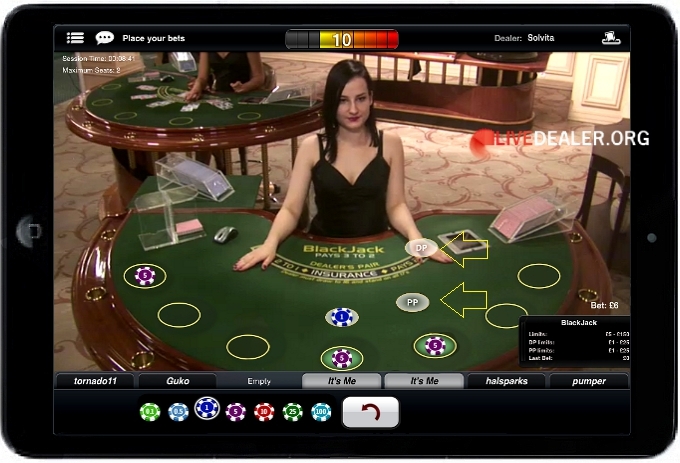 The table is playable on both PC and mobile devices (Paddy iPad App), with the same game rules and features as the main dedicated area roulette table. 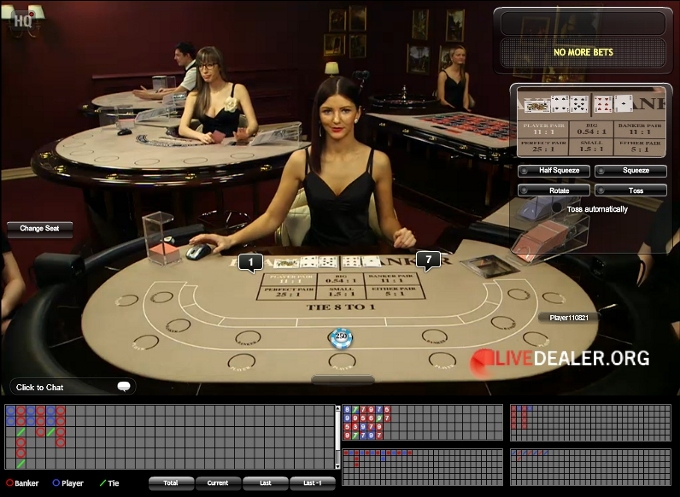 Playtech found space in their Euro studio for yet another baccarat table. The new Perseus VIP table is situated in the ‘select’ Ruby Room (as Playtech would have you believe), or to be more precise at one end of the general floor. Betting limits are considerably higher, typically £/€250 minimum. The VIP format comes with extra game features already familiar to Playtech’s Asia studio players. Currently, the table is open daily from 3pm (GMT) and is available at Ladbrokes and Betfair. If you’re a Ladbrokes player that means you now have access to 5 baccarat tables in the Riga studio, plus the numerous tables in the Asia studio … rejoice! Betfred don’t have the most tables. But they are the first Playtech casino to offer blackjack side bets to mobile players on their iPad App. Player’s Perfect Pair and Dealer’s Perfect Pair betting options are now displayed once you place your main bet on the table. No doubt other Playtech casinos will be updating their Apps in the coming months to include side bets and so on. — In memory of Katie.